Tag: How To Fix It! 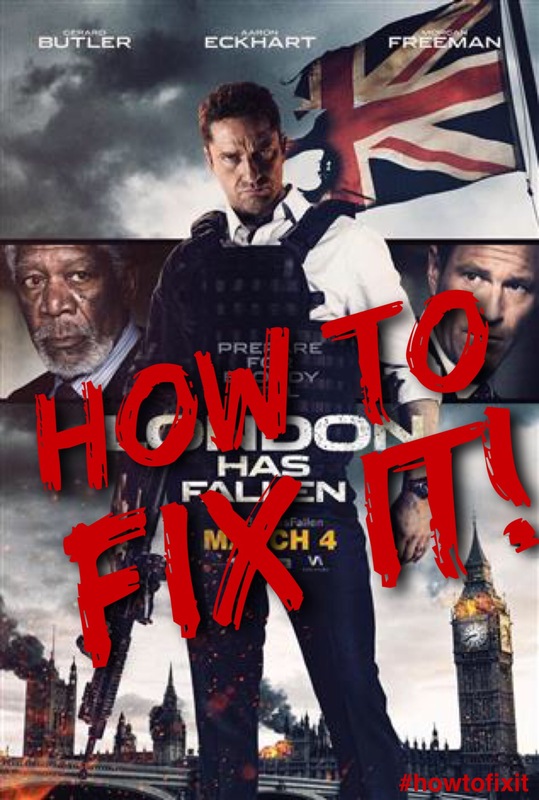 April 22, 2017 March 29, 2017 reggierivett How To Fix It! Pierce Brosnan is the bad guy. Milla Jovovich is the good guy! This is going to be great! Such a simple idea, a simple “bad guy trying to kill a good guy on the run” movie that totally falls flat. Why? There are a few reasons, and a simple fix could have totally redeemed this movie. Here’s How To Fix Survivor! April 15, 2017 March 29, 2017 reggierivett How To Fix It! Atlantis has declared war on the Surface Dwellers. Their queen has been assassinated. Nope, that’s not right. I’m confusing the comic with the movie. There are too many elements that are similar, and yet, so much that is forgettable and reminiscent of other works that Justice League: Throne of Atlantis could have been a cheap rip off of another movie. But I love DC Comics. I love the Justice League, and I think this movie could have been so much more. Here’s how to fix Justice League: Throne of Atlantis. 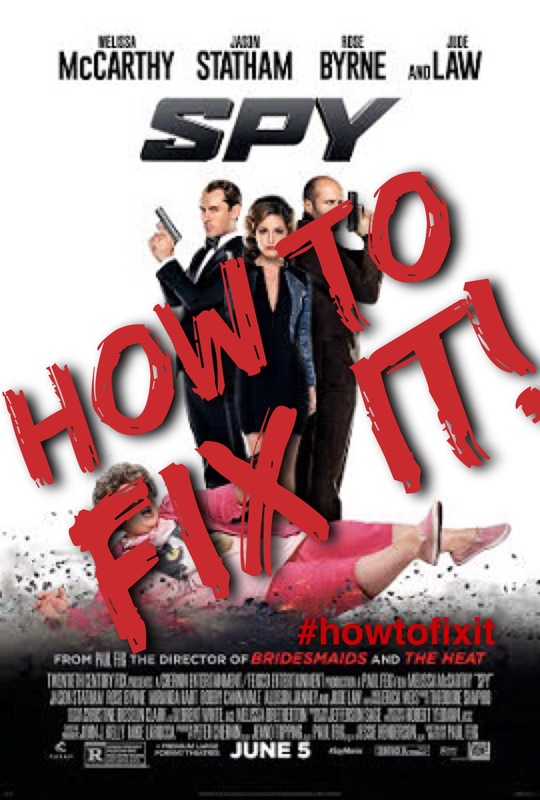 April 8, 2017 March 25, 2017 reggierivett How To Fix It! It’s the start of a new era! The Justice League is just forming, just meeting for the first time, and they are going to war! Taking cues from the DC Comics ‘New 52’ comic series, it follows the story by the powerhouse,Geoff Johns and Jim Lee, with the Justice League fighting the cosmic darklord, Darkseid. But does that make it perfect? Or great? There are a couple things that should have been changed to make this a blockbuster start to the new New 52 animated universe. Here’s How To Fix Justice League: War! April 1, 2017 March 24, 2017 reggierivett How To Fix It! It’s Pierce Brosnan as an ex-spy. How can you go wrong? Well…apparently you can. I don’t think it was him or his role in The November Man. But there were different things in this film that were definitely lacking, making a simple spy movie with the brilliant Brosnan fall short. Some are small things. Others are rather large. April 1, 2017 March 25, 2017 reggierivett How To Fix It! It is arguably the worst in the franchise for numerous reasons. I’m going to talk about a few of them, because this could have been a fantastic movie. March 25, 2017 March 24, 2017 reggierivett How To Fix It! Superman doesn’t exist. Wonder Woman doesn’t exist. Batman doesn’t exist. At least not in this world, and not as you think you know them. Another in the long list of amazing animated original movies by Warner Bros. Animation, but there is something missing, something wrong with this Justice League film. An easy fix, I believe, would make all the difference in the world. March 18, 2017 March 16, 2017 reggierivett How To Fix It! In World War II, Hitler sought out any weapon that he could use to win. That included religious and spiritual weapons. During a ritual done by the Nazis, a demon was conjured and brought to Earth. But it wasn’t the Nazis that raised this demon. It was under the watchful eye of an American scientist, teaching this demon to become a defender of the earth and warrior against the forces of darkness. His name was Hellboy. December 12, 2016 December 5, 2016 reggierivett How To Fix It! Gerard Butler and Aaron Eckhart star in this action/adventure film, where the US President (Eckhart) is being hunted by international terrorist in London. There to attend a political figure’s funeral, the city begins to fall to different attacks. It’s up to Butler’s character to keep the President safe. It’s a good movie. Lots of fast paced action. Nothing that is too over the top or unbelievable. But there is a problem, something that I think held this movie back from being better. There was a fundamental piece that was missing that would have made this a movie more people enjoyed. December 10, 2016 December 6, 2016 reggierivett How To Fix It! It is relatively easy to imagine Jude Law as a spy. He’s good looking, athletic (as athletic as any actor really is), and knows how to point a gun and look like he means business. The same goes for Jason Statham and Morena Baccarin. The one who doesn’t is Melissa McCarthy, which is why the idea of her being a spy makes for an interesting movie. And it is, for the most part. I just wish that there would have been a things that they would have done differently. A couple little tweaks and it would be a much better movie in my opinion. December 6, 2016 December 5, 2016 reggierivett How To Fix It! While some people are still waiting for the sequel, I’m enjoy the original. This may be the best female buddy cop movie out there. 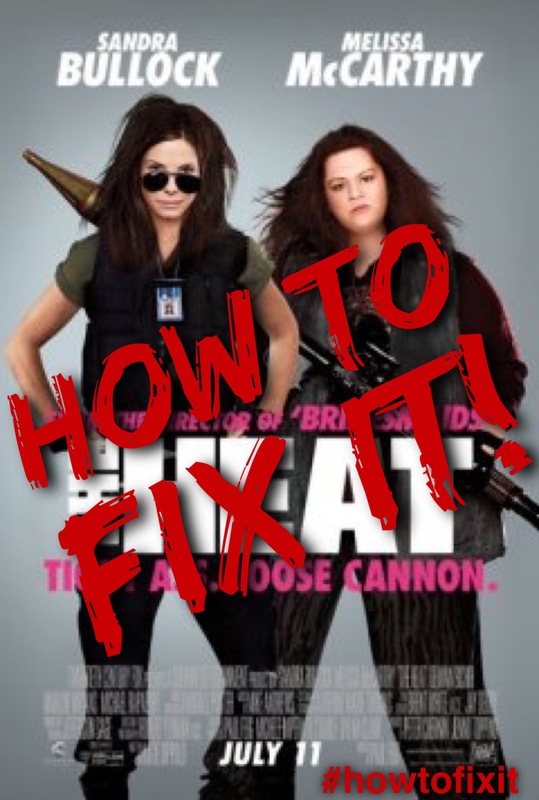 Melissa McCarthy and Sandra Bullock make an amazing emotional/comedic team, telling a simple story of an stuck-up FBI agent working with a loose canon cop. Hilarity ensues. Tears are stead (by the characters, not me).